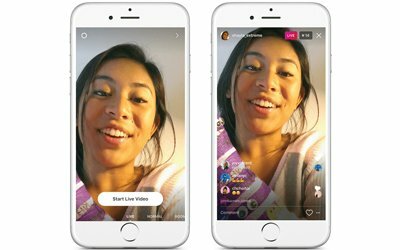 Instagram recently announced the addition of two features to its user experience: live video and disappearing photos. Although not novel ideas in the social media space, the addition of these new features will undoubtedly help Instagram retain its position as the go-to social media platform for creative expression, brand building, and shopping among competitors like Snapchat and future would-be competitors attempting to woo Instagram’s passionate and loyal millennial audience. Live video gives business owners the ability to share content like webinars, interviews, and unique behind-the-scenes perspectives that help you connect with your audience, create brand loyalty and differentiate you from your competitors slow to adopt these new tools. Savvy business owners will find ways to utilize disappearing photos to evoke a sense of curiosity and exclusivity among their most loyal fans. A few ways you can begin experimenting with your audience today is to share promo codes, give exclusive previews, and even stage an account take-over with an influencer your audience will find compelling. It’s worth noting that to maintain relevance to the heavily millennial audience you’ll find on Instagram you should maintain a healthy balance of promotional and non-promotional activities. While there’s certainly a time, place and desire for promotional activities, the most successful brands on Instagram are the ones delivering powerful visual content that highlights their unique culture and engages with their audience. It’s worth noting that 85% of brands don’t engage with their audience on social media or in reviews. Contact your Client Advocate to learn how to use Instagram’s newest features and turn your audience into brand activists today.